Inspired by a session at the Physics Summer School, I decided to try a 'creative thinking' exercise with my new S6 Advanced Higher pupils. Giving them the theme of 'Successful Learners', I asked them to spend a couple of minutes, individually and in silence, writing down all of the things they thought necessary for learning to be successful. Having done so, I put them into groups to discuss their individual lists and compile a 'super list' for their groups. Each group was then asked to give 3 or 4 items from their 'super list'. This was scribbled up on the board and discussed as we went. As expected, the lists were very similar for each of the groups, but there were some responses given by only one group - 'time', 'confidence' and 'classmates' (hence the underlining). This time they were asked to come up with strategies for overcoming these apparent difficulties. Again the groups were encouraged to spend some time silently coming up with their own individual ideas before discussing in their groups. Once they had discussed their ideas, we put together another summary. Again, the responses were discussed as we compiled the list of 'solutions' it became obvious that all of the solutions pointed towards aspects of independent learning, none of which were in any way specific to Physics. It was also obvious that even in our true circumstances, where we do have books, a prescribed curriculum and a teacher that these 'solutions' would still be of benefit in ensuring they learn successfully. 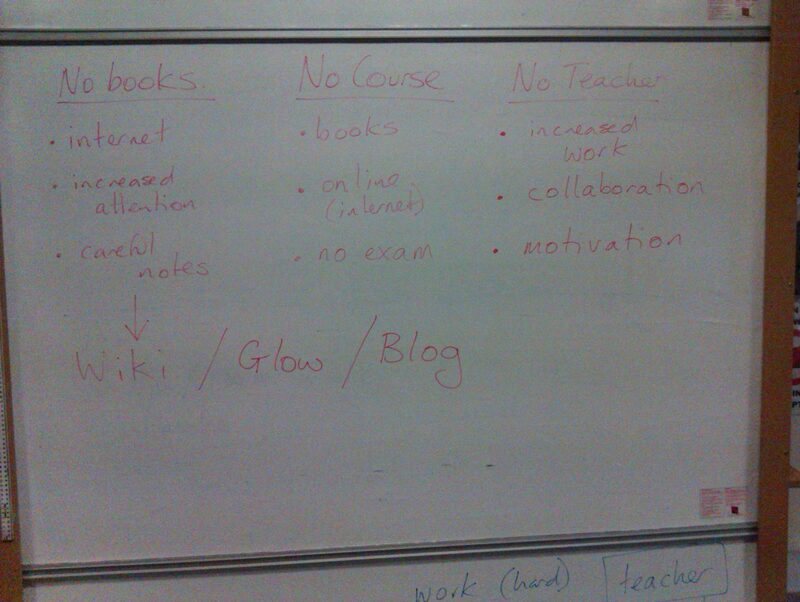 This got me onto my hidden agenda - making extensive use Glow to achieve many of these goals. The plan is for my pupils to compile their own 'textbook' in the form of a class Glow Wiki; to make use of materials in our Glow Learn resource library; to use the class Glow forum to discuss difficulties, both asking for help and providing assistance to others; using Glow blogs to record their progress through their AH investigations; adding links to 'good' web sites to the Glow group and anything else that occurs to me, or them, over the next few months. I'm also very keen to push SCHOLAR - Heriott Watt University's VLE - and get as much of their data handling for experimental work performed using simple spreadsheet techniques, rather than laborious manual analytical techniques. Suffice it to say, my new class seem a little worried at this approach, some admitting they would be out of their comfort zones. 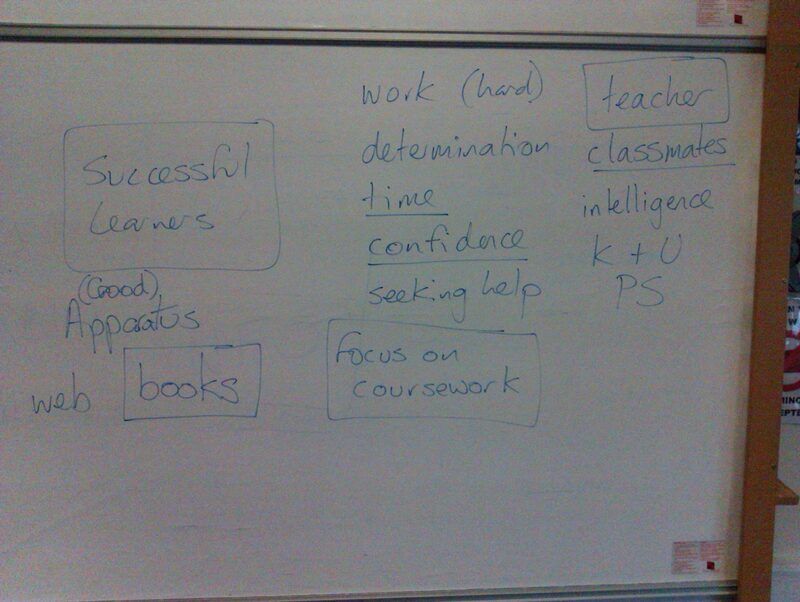 But they seemed to recognise the potential benefits to them of gaining these skills and adopting these attitudes. And hopefully they fancy stepping up to the challenge. If I'm honest, I am a little worried too. I may have bitten off more than I can chew. I may need to spit a bit out. I might also choke. That said, I'm not short of support, despite being almost the only 'Glow guy' in my school, I've also got my guardian angel at the LA, and my amazingly helpful and knowledgable PLN on twitter to fall back on. I will be blogging about this project on a different blog - the class Glow blog.